The 3.27-inch Galaxy Young runs a 1GHz processor with 768MB RAM and 4GB of storage for movies, music and pictures. It has a 3-megapixel camera and 1,300mAh battery. 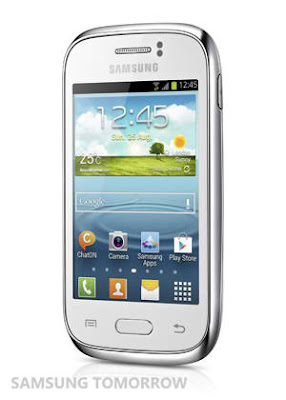 The Samsung GALAXY Fame is a stylish device coupled with a sophisticated, simple and powerful user experience. With a 5 megapixel camera, users can capture precious everyday moments. It comes with Bluetooth 4.0, allowing for the GALAXY Fame to instantly share information with other Bluetooth enabled devices. Also equipped with NFC, the GALAXY Fame allows easy sharing via S Beam with other Samsung smartphones by simply touching two different devices’ backs. Fame, an entry-level phone have a similar size with iPhone 4S, with 3.5-inch but on HVGA TFT. 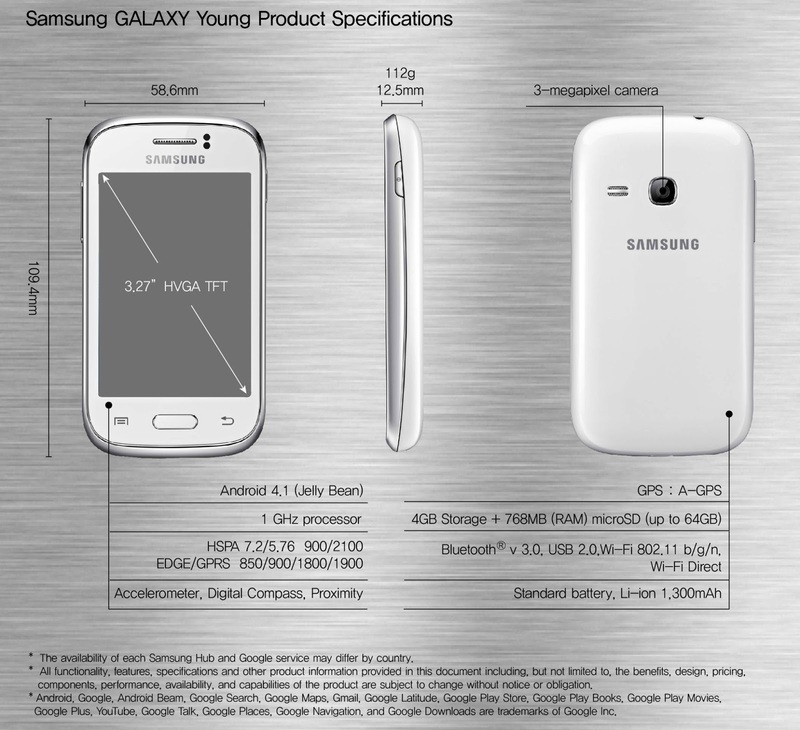 Samsung said that the Galaxy Young will be available in white, deep blue, wine red and metallic silver, is a smart and affordable Android playmate for the younger, stylish generation of mobile users. The Galaxy Fame on the other hand will be available in pearl white and metallic blue, combines powerful performance with an essential suite of features and services, all packed within a stylish design. On the same day of unveiling for the new smartphones, Samsung defeats Apple for the first time in customer loyalty. According to Brand Key's 2013 Consumer Loyalty Engagement Index, Samsung edged-out Cupertino-based company in the loyalty index surveys of 39,000 people in the United States. Do you think Samsung will continue to dominate smartphone market this 2013 amidst of the stiffer competition with Apple? Can you guess more Galaxy phones coming up? Tell us your thoughts for the new Galaxy phones that are expected to hit Philippine mobile market this 2013. 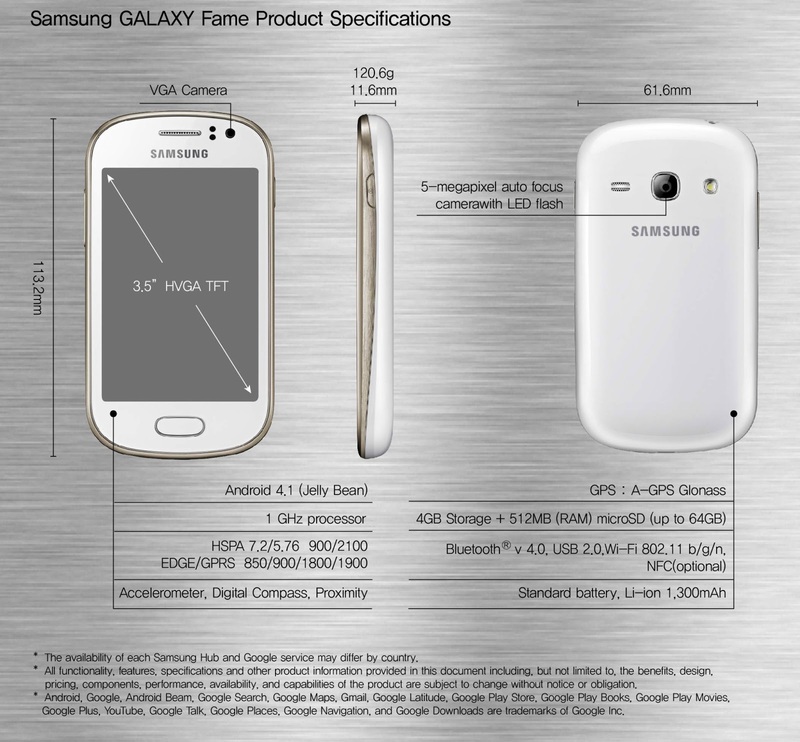 July 4, 2013 Update: Samsung Mobile Philippines announced the price of all budget phones- the Samsung Galaxy Fame, Young, Pocket Neo, and Star . Samsung said that the new phones are coming very soon. Samsung Galaxy Fame and Young are priced at P7,490 and P5,490 respectively.